Hi, here's a photo clipping from the IOM paper, I believe the Examiner, not dated, unfortunately. 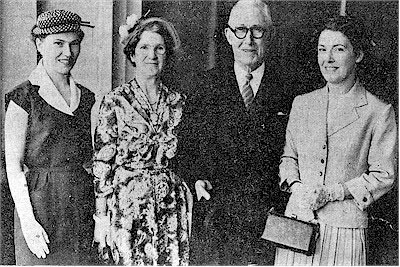 It shows Sir Joseph Qualtrough (chart 10 and chart 21) and some members on his family on the day of his knighthood. Her Majesty's investiture at Buckingham Palace.